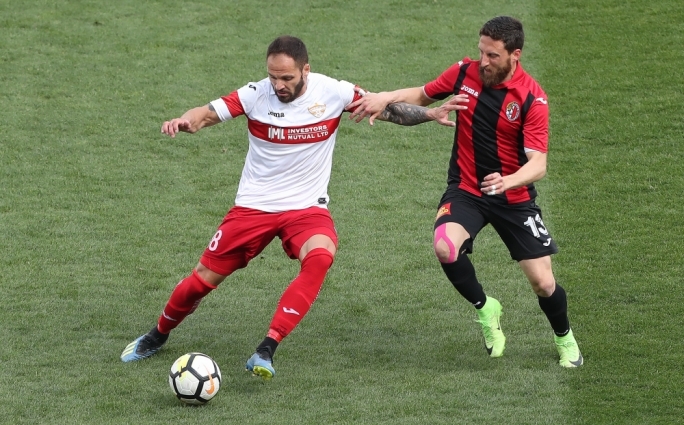 Hamrun and Balzan lost precious points once more as both sides shared the spoils in a 1-1 draw. The Spartans broke the deadlock on the 53rd minute. Kevin Tulimieri’s delivery was met by Wilfried Domoraud who headed the ball home. However, Hamrun’s advantage didn’t last long as Balzan equalised on the hour mark. Following a corner, the ball ended up in the path of Serrano Valero who headed it past Emmanuel Bartolo. This result is a disappointing one for both teams as the two sides took a setback in their attempts to finish fourth. Hamrun Spartans starting line-up: Manuel Bartolo, Enrico Pepe, Sebastian Nayar, Wilfried Domoraud, Andre Scicluna, Conor Borg, Marco Criaco, Karl Micallef, Orestis Nikolopoulos, Caetano Calil, Kevin Tulimieri. Balzan starting line-up: Sean Mintoff, Aleksandar Kosoric, Nenad Sljivic, Steve Pisani, Steve Bezzina, Paul Fenech, Alfred Effiong, Uros Ljubomirac, Ivan Bozovic, Elkin Serrano Valero, Ricardo Calixto Correa Duarte.